Al-pulver Welding fume, Pharmaceutical and other sticky agglomerative dust collections. 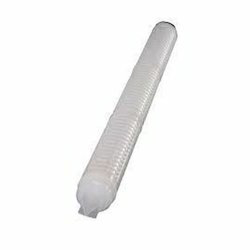 Pleated polypropylene, polyethersulfone PTFE, nylon membrane cartridges available down to 0.1 micron rating which can be sterilized or autoclaves and reusable. 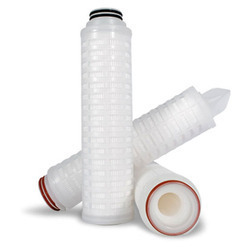 Pleated membrane filters are used in the most critical of high purity applications. They excel at removing sub-micron particles including bacteria from solutions down to 0.03 micron. We offer Membrane Filter Cartridge. We are a reputed entity in the industry, actively engaged in offering an optimum quality range of RO Membrane Cartridge.